Want to see a rare natural phenomenon? Then check out the Kuala Selangor Fireflies Phenomena Tour in Kuala Lumpur, Malaysia. Experience a natural phenomenon with sparkles and twinkles in Kuala Lumpur, Malaysia with Kuala Selangor Fireflies Tour and add it to one of your most memorable times. It’s not every day we get to see a firefly twinkling in the night, what more with hundreds or thousands of them all at the same place and at the same time. With Kuala Selangor Fireflies Tour, you won’t only get to enjoy the natural phenomenon that is the fireflies but you’ll also have the chance to walk jungle trails and also learn about the mangrove trees. Pass by shanty-looking towns and some Malay villages and experience a whole new adventure. With Kuala Selangor being renowned for its historic past, you’ll find yourself having more of an adventure than a simple sightseeing. You can even enjoy a delicious meal enjoying the view of native birds from a bird sanctuary nearby. 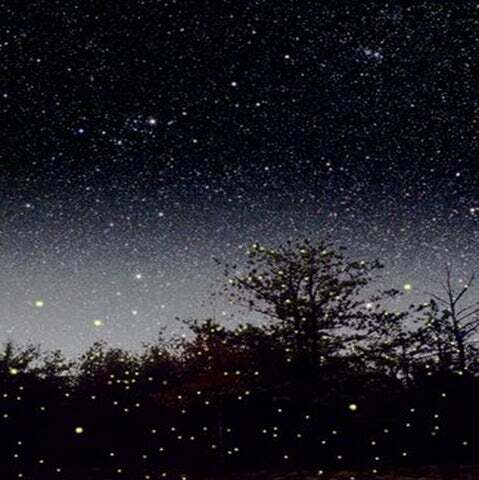 Note: The Natural Phenomenon is subject to weather conditions so you might want to check on the weather before venturing with Kuala Selangor Fireflies Tour. Call us now and have a share of the experience of a Natural Phenomenon on a Kuala Selangor Fireflies Tour!